Houseboats are available in many countries but Kerala houseboats and its lovely backwaters have something different to offer. In the list of Keralian beauty houseboats has undeniable place. Tourists experience a heavenly treasure under the water residence. 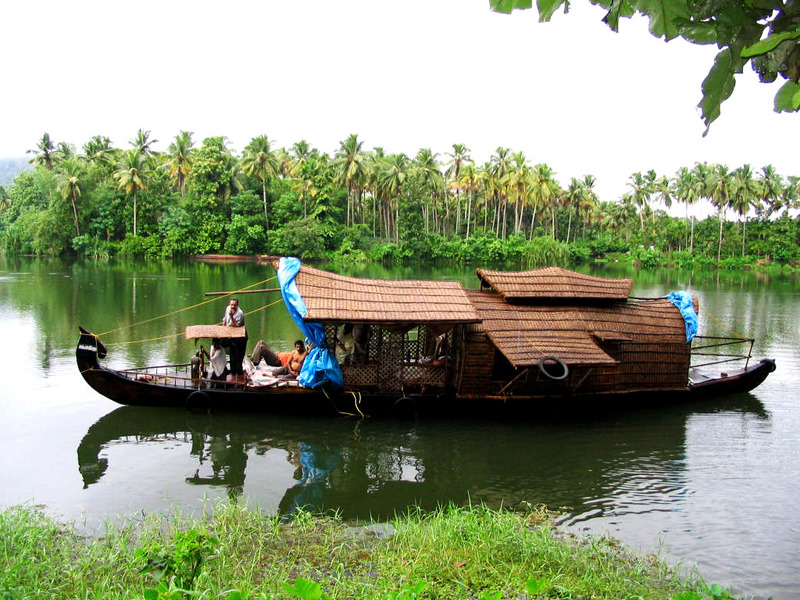 In Kerala, houseboats are called as Kettuvalam which literally means “bundle” or “package” boat. In Malayalam language Kettuvalam is said as the combination of two words i.e. Kettu implies tied with ropes and vallam implies boat. These Houseboats are having 60 to 70 feet in length with 15 feet width in the middle. These houseboats have all the essential amenities for the living. Somewhere these are called as floating hotel due to the presence of exclusive well-furnished bedrooms, beautiful kitchen, modern toilets, serene balcony and many others. They use solar energy for the power requirements. Though the concept of houseboats is not a new one, it is an innovative adaptation of the traditional cargo carriers. Some of the houseboats are kept stationary at a fixed point but offer all facilities like home and some others are capable to float that are called as shanty boats. Backwaters gained major tourist attraction due to mesmerizing Houseboat ride. Here lot of enchanting backwaters locations offer beautiful picture of nature that are garnished with inland lakes and lagoons. This list of Backwaters locations includes Alappuzha, Kollam, Kumarakom, Kochi, Thiruvallam and many more. Lot of splendid Houseboat races attracts thousands of people from all around the world. The stirring and exciting experience of Houseboat ride in the exotic Backwaters will stay long in your mind. Really, experience in Kerala Houseboats through backwaters journey will rejuvenate every tourists to the core. Today in Kerala, houseboats are meant for the sightseeing tours in the Kerala Backwaters. The real enjoyment of Backwaters can only be treasured with the sailing in Houseboats. Most tourists prefer to stay some time in houseboats during their visit to Kerala because without experiencing the joy of Houseboats your visit will be in vain. Today houseboats are meant to living in water. The natural beauty and the scenic look can be most enjoyed with the houseboats. No doubt lot of people come Kerala just because to avail this Houseboats experience. Family, Friends as well as Honeymoon couples all can enjoy this Kerala Houseboat journey to the fullest because it covers every color of nature. If you are a family, you will cherish the most amazing time with family members under the nature’s lap. For the Honeymooners, houseboats are the perfect place to get more romantic feeling in the calm environment of nature. Visit Kerala with friends will be the best fun ever. The serene beauty of Kerala backwaters offers lot of picture capture moments so don’t forget to take camera while going to Kerala trip. The amazing sunrise and beautiful sunset thunder you internally. This place really gives mind-blowing relief to our soul. You will surely feel close to God and the real beauty of nature, what else can say more about the beauties of Kerala. You must visit Kerala and the backwaters once in your journey of life. Your little sojourn in Kerala and its backwaters will be a best retreat ever and with the combination of lush green vegetation Kerala backwaters create a spectacular visual imagery for you. This God’s own country is one of the wonders of the world. Excellent blog, Most important attraction of Kerala is back water tourism. But very often tourist get confused as to who provides the best House Boat service. Alleppey houseboats create a unique relaxing experience in your Kerala tour packages. The main aim of Alleppey Houseboat tour is to create great memories, magic, tradition, romance, blessing of an intimate and enjoy the precious moment together. If you wish to enjoy a beautiful day in Kerala, Alleppey houseboats are the better option. Kerala backwater and houseboat tour are one of the top best tourist places to visit in Kerala. A Backwater with houseboat stay gives the enchanting and splendid experience for the lifetime.